It looks like Respawn Entertainment is planning to send Apex Legends to the PUBG school of map updates, opting to release new maps down the road rather than issue major updates for the game’s current killzone. In an interview with Venturebeat, the studio’s CEO, Vince Zampella, said that the current version of King’s Canyon went through a number of changes during the game’s development. “We tried bigger, we tried smaller.” Eventually, the 60-player version of the map that was settled on ended up being the most fun for the developers, but that doesn’t mean we won’t see some very different maps some time in the future. The approach is similar to PUBG, which originally launched with just one map, but has since expanded to explore new themes, with the desert-like Miramar and the icy Vikendi, and new styles – tropical Sanhok is half the size of its older brothers, but features the same number of players. On the other side of the argument is Fortnite, which has had its launch map iterated upon with almost every major update. New locations have been accompanied by desert and ice biomes in corners of the map, to the point where the map is scarcely recognisable when compared to its original form. 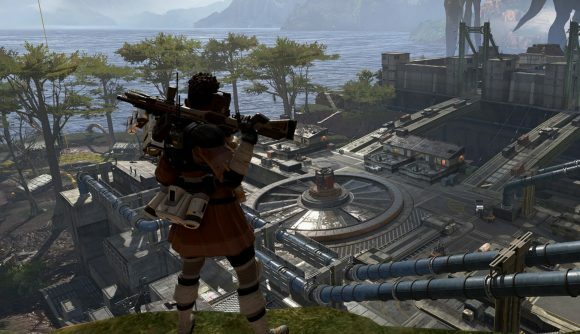 Apex Legends has got off to a flying start, with more than ten million players (and 600,000 concurrents). While EA’s stock dipped in the wake of the game’s release – thanks to Battlefield V’s poor sales performance – but the speed at which Apex Legends has proved itself helped restore the company’s share price and then some.